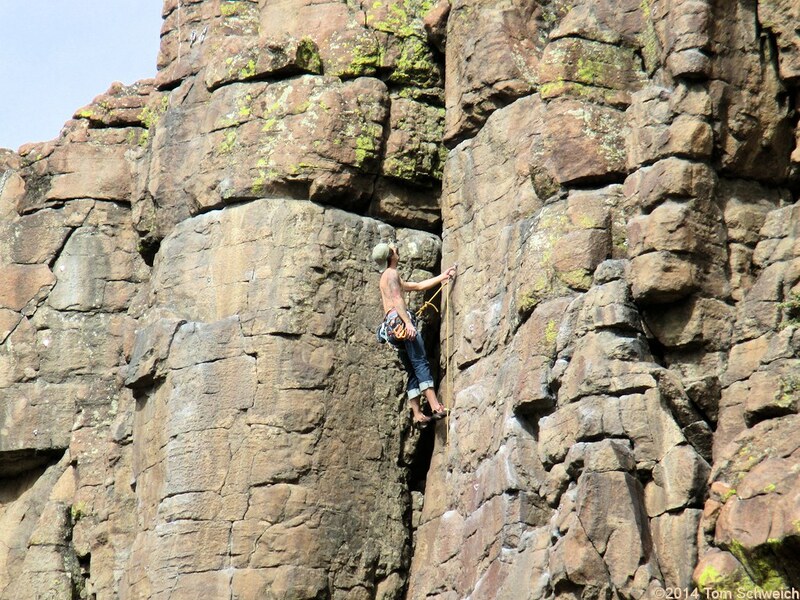 Photo: Climber on Golden Cliffs. Eastern Mojave Vegetation Climber on Golden Cliffs. Golden Cliffs Trail, Golden, Jefferson County, Colorado: at climbing area.